O2 4G network arriving in July 2013? Mobile network O2 might have to wait until the third quarter of 2013 before it can launch its 4G network in the UK. 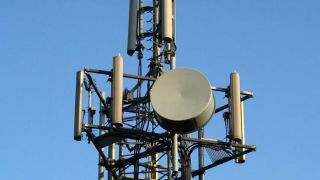 TechRadar spoke to O2 CEO Ronan Dunne who revealed that the network is still waiting for the government to release the spectrum. Dunne said; "Our aspiration is to provide 4G as soon as we can, our challenge is that despite the fact some operators are accused of slowing the process down, the regulator and government have spectacularly failed to give us the spectrum." "Most other countries have released the analogue spectrum which was freed up from TV, but in the UK that will be made available in the third quarter of 2013. I'll be ready and waiting on the day that they deliver the spectrum" Dunne continued. There's been a very public falling out between Everything Everything and other networks including Vodafone and O2, over EE making a bid to release its 4G network earlier than the competition. O2 isn't against this idea in principle, it just wants it done properly. Dunne said: "There was a statement in the House by Ed Vaizey [UK communications minister] the other day, which noted that they need to review and make a decision before the end of the year (on 4G spectrum), but that doesn't mean they'll need to approve the use of the spectrum for 4G by the end of the year. They just need to make a decision on when. "It's a very straightforward process, it's just up to the regulator to go through it, and when they do he'll liberalise the spectrum." So it looks like we're still in for a bit of a wait here in the UK for that fabled 4G network, but hopefully by this time next year we can really start to get excited about it.